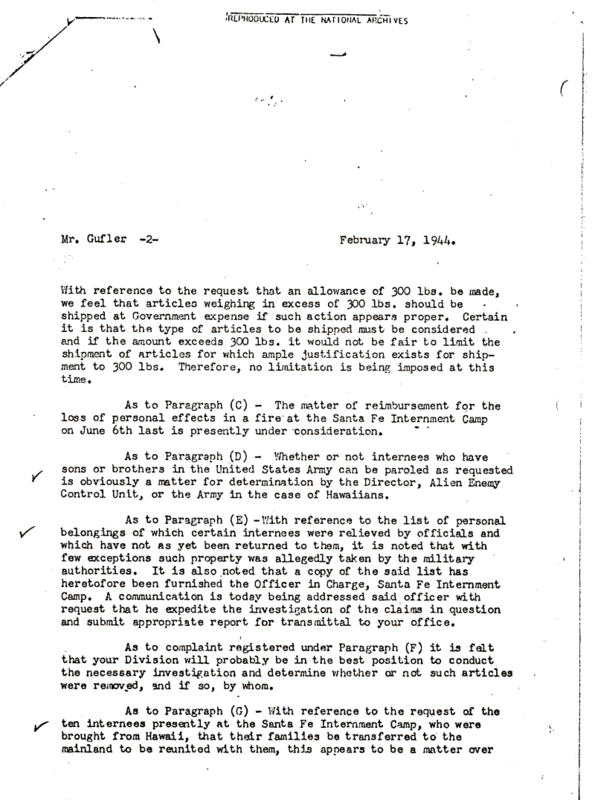 Internment Archives: Memo regard reuniting of families, baggage expenses, etc. Memo regard reuniting of families, baggage expenses, etc. Document Notes: An example of the effort made to accommodate the needs and wishes of interned Japanese citizens.